Researchers at the RIKEN Brain Science Institute in Japan have identified two independent pathways in the fly brain that are integrated to allow successful navigation during flight. Published in Nature Neuroscience, the study combined a flight simulator designed for flies with imaging of active neurons to show that landmark locations are processed separately in the fly brain from self-motion. Successful navigation is a key to survival for most animals as it can affect the ability to find food, shelter, and mates. This often involves combining many types of information. As group leader Hokto Kazama explains, “animals can save time when searching food if they keep track of their location using cues such as landmarks and memories of where they have been.” While this ability is common from insects to mammals, Kazama and many other scientists want to know how it is accomplished in the brain. While past research has focused on mammals and birds, Kazama’s team took another approach. 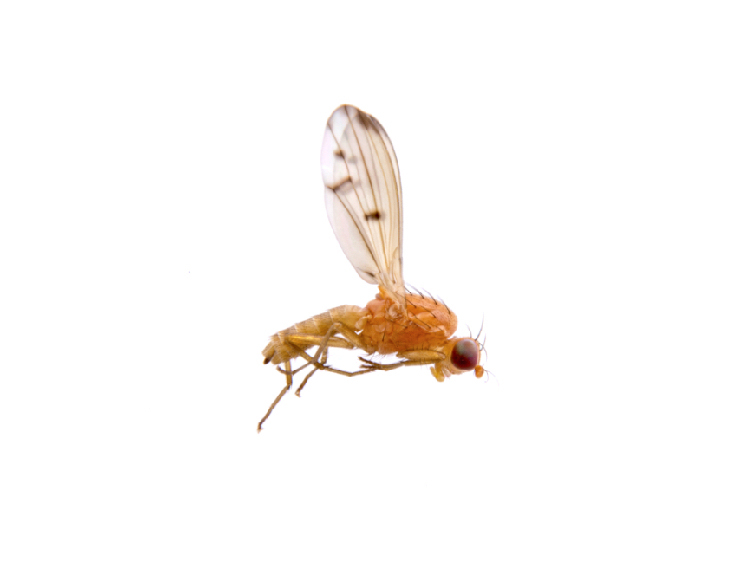 They opted to work with the common fruit fly–Drosophila melanogaster–because despite its much simpler and tiny brain, it has an amazing ability to zero in on fruit and avoid being squashed by irritated picnickers. 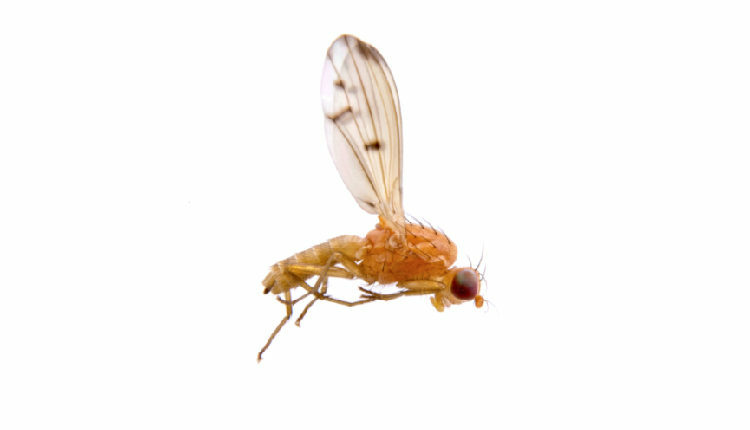 But how can fly brains be studied in action as flies navigate the world? As lead author Hiroshi Shiozaki points out, “the big problem was that we needed to record brain activity in flies as they engaged in navigation. But, this requires a head that is fixed in space, which obviously prevents natural navigation.” The trick was to design a specialized flight simulator. In this unique system, a fly watches a scene with its head fixed in place. When it flaps its wings, the scene rotates accordingly, which allows navigation through a virtual space. In this setup, flies exhibited cue combination–a hallmark of navigation in which animals decide where to orient by combining information about visual landmarks with memories of landmarks that were present a few moments earlier. Next, the team used two-photon calcium imaging to study the active brain as flies navigated in the flight simulator. This technique allows activity to be recorded from individual neurons, which turned out to be a key factor in the team’s findings. The calcium imaging showed that a part of the fly brain called the bulb carried multiple types of information needed for navigation. Close examination revealed that within the bulb, the information was physically separated from each other. For example, one group of bulb neurons carried memories of landmark locations, while another group carried information about the fly’s ongoing position and maneuvers. “To our knowledge, this is the first example of neural activity reflecting a type of short-term memory that lasts for seconds in insects,” notes Shiozaki.